Hey Jammers! The new item is sadly member, but I guess that's what you get for underwater dens. 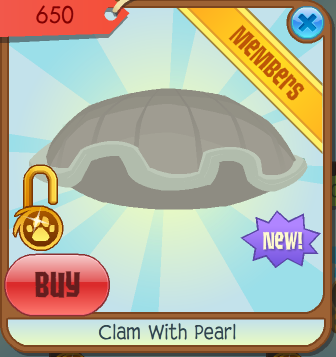 By the title you probably found that the new item is a clam with a pearl. Anyways, I'm getting some great entries to the contest! Contest ends on Thursday. Click here to learn how to enter and see the prize.